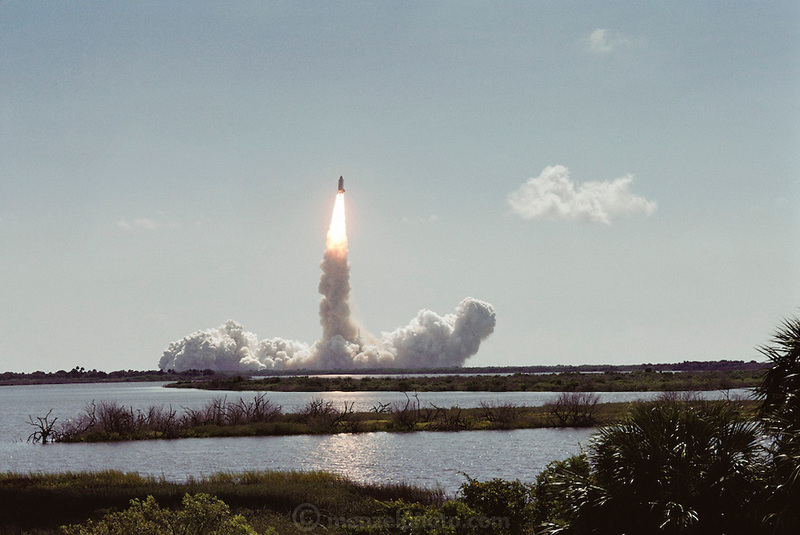 August 1991 Space Shuttle Launch, 11:02 a.m., at Kennedy Space Center from Astronaut Road. Cape Canaveral, Florida. Flight Number: STS-43 Craft: Atlantis. Flight Duration: 8d 21h. Mission was a TDRS launch.